Friday, February 1, 2019-The late Internal Security minister, George Saitoti, died in a plane crash with his assistant Orwa Ojode and the death of the powerful Cabinet Minister is alleged to have been pre-planned. Saitoti died after naming powerful drug barons in Parliament among them Mombasa Governor Hassan Joho and former Kiambu Governor, William Kabogo. This explosive investigative report was done by Mohammed Ali and it heavily linked Joho to drugs. 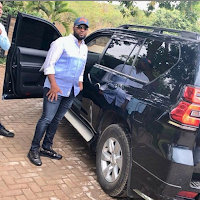 Ali alleged that Joho is among the drug barons in Mombasa who have raked in billions of shillings selling hard drugs. Here’s the expose that puts Joho in a tight spot. The expose also reveals who might have killed Saitoti and his assistant.